With our expertise in the domain, we have come up with a remarkable gamut of Face Gel. This offered range comprises Aloevera Gel, Acne Gel, Orange Gel, Cucumber Gel and many more items. Our deft team of professionals formulate this range making use of best in quality ingredients which are procured from famed vendors of the market. This range is provided by us in bulk and urgent basis also, to serve our esteemed clients requirements on time. 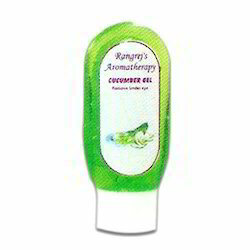 We have emerged in offering our valuable customers a wide array of Cucumber Gel. Formulated using quality tested ingredients, our offered range is enriched with pure extracts of cucumber. Our products are very effective in removing under-eye blackness and black blemishes on face and also removes sunburn on the face. This range is offered by us in various sizes packing to meet the variegated requirements of our clients. Massage with cucumber gel removes under-eye blackness and black blemishes on face. 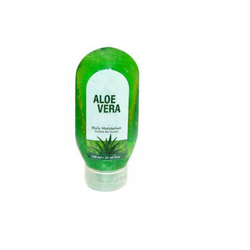 With firm commitment to quality, we are engaged in offering a wide range of Aloevera Gel. We formulated our offered range using qualitative ingredients procured from famed vendors of the market, in compliance with international quality norms. To ensure that we are offering a quality approved range, each products is specially checked with utmost care by our quality controllers team. These products is very effective in bringing excellent glow to the pollution & sunburn prone skin and helps in cell regeneration, removing dead cells & black blemishes from the skin.